Preheat the grill or grill pan over a medium-high heat. Oil the grill’s surface. Remove any wilted outer leaves from the romaine hearts, then cut the hearts in half length-wise leaving the end in tact so each half holds together. Brush or spray them lightly all over with the oil spray. 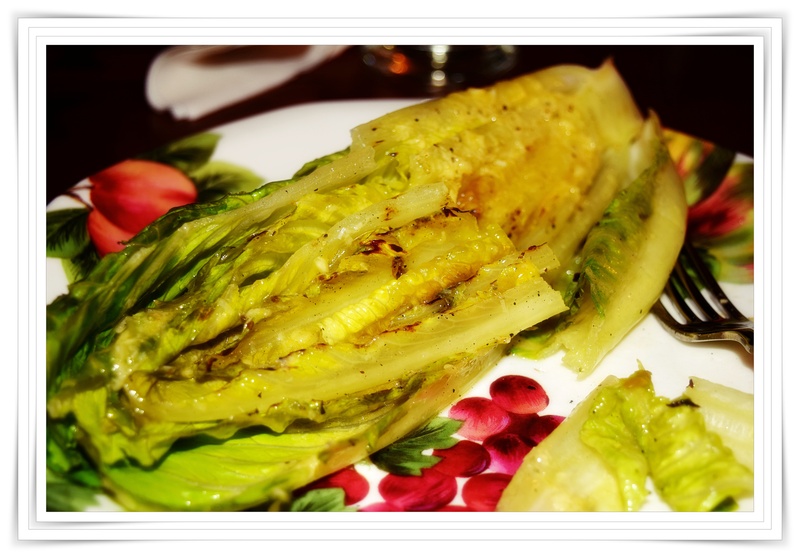 Grill until grill marks form and the lettuce wilts slightly, about 6 minutes, turning once or twice. Serve drizzled with the vinaigrette and extra grated cheese.